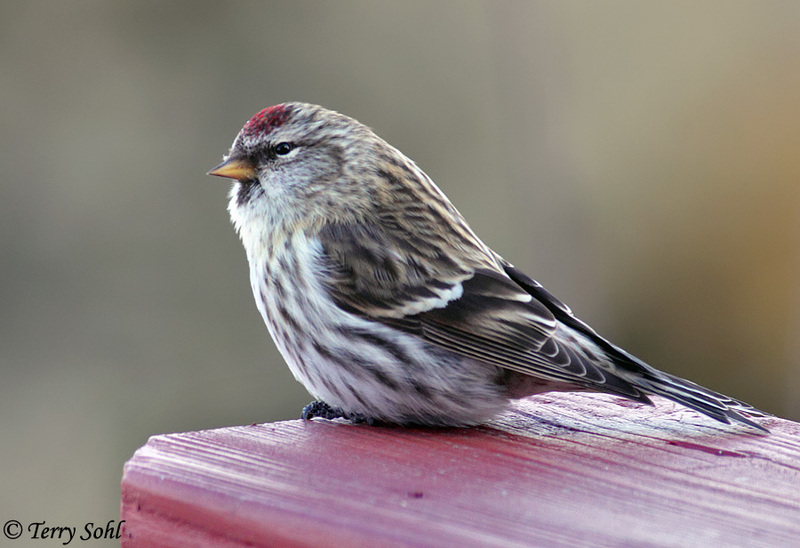 My Favorite: Once. 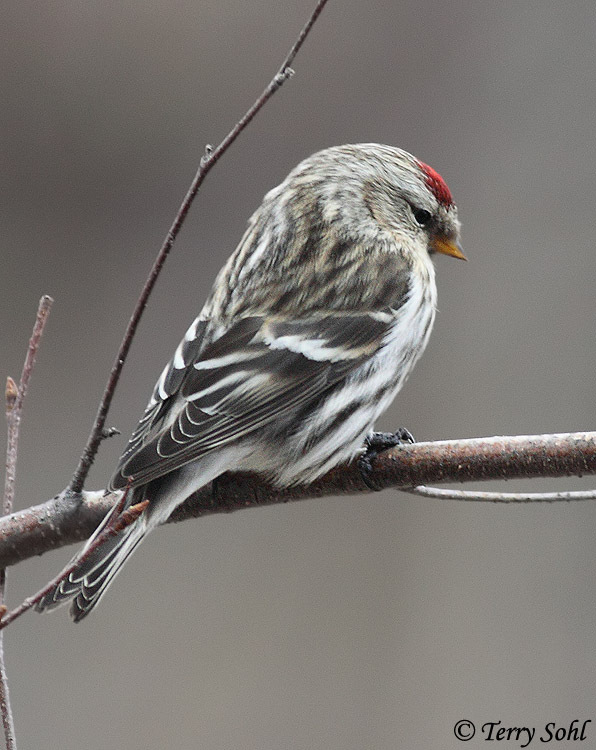 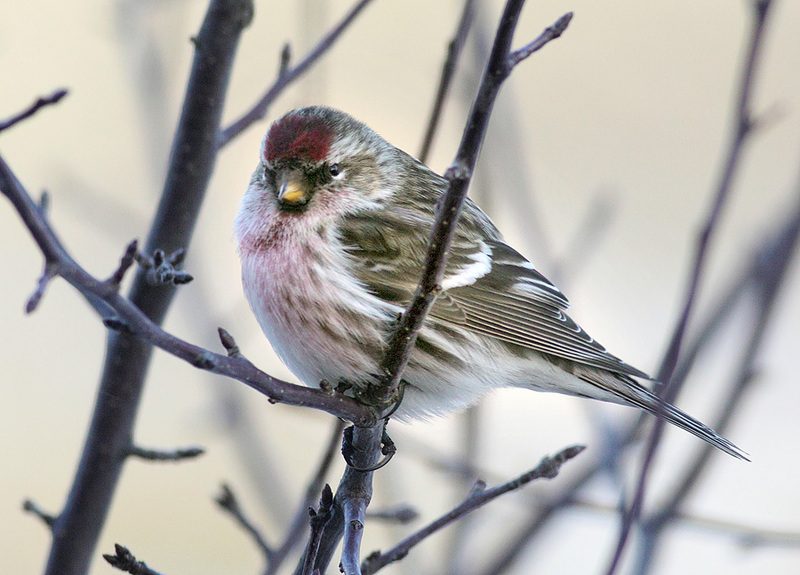 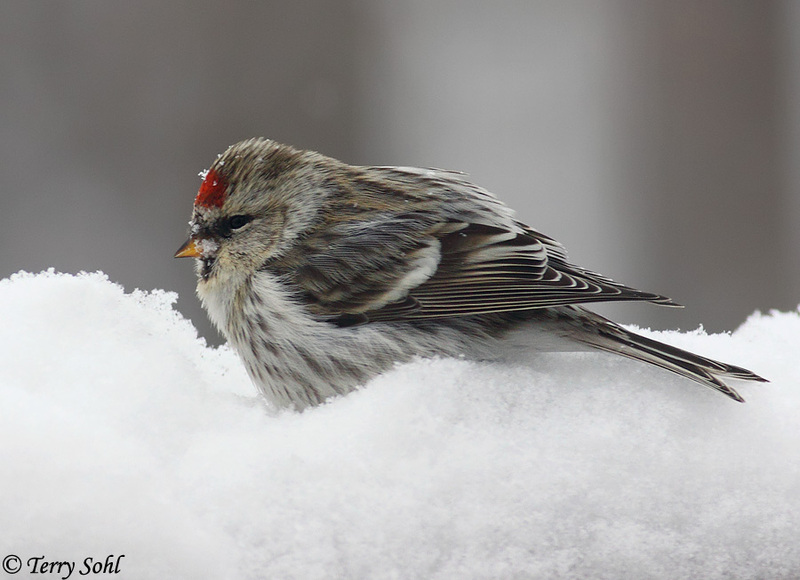 We have lived in Sioux Falls for well over 20 years as I type this, and there's been a grand total of one winter where we had Common Redpolls in our yard and at our feeders. 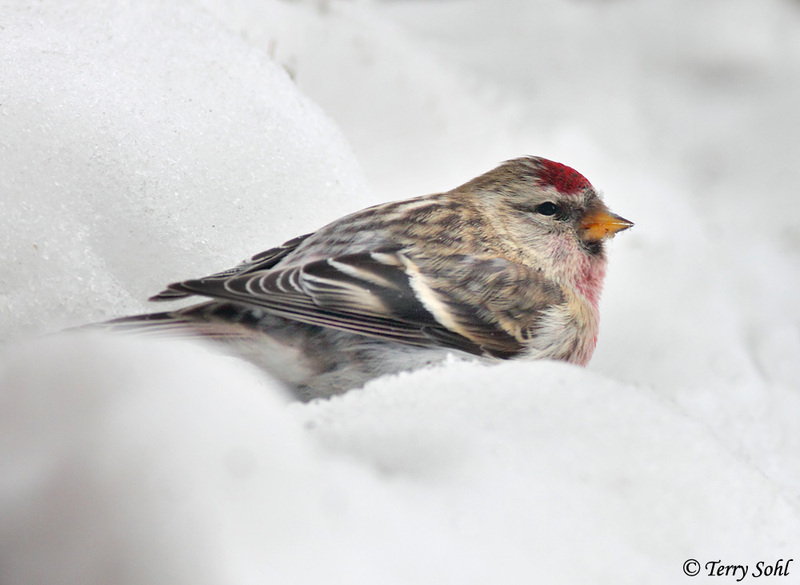 Ah, but what a winter it was!! 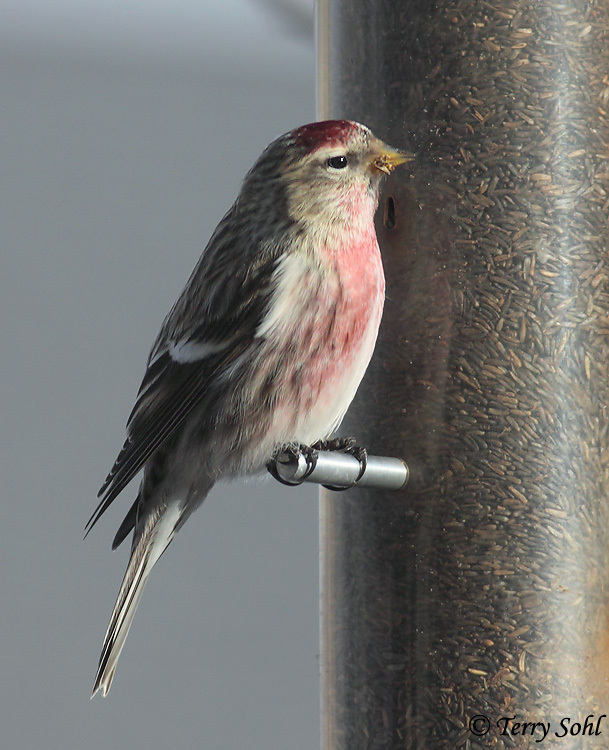 They first started showing up in late December, 2012, and stayed through much of March. 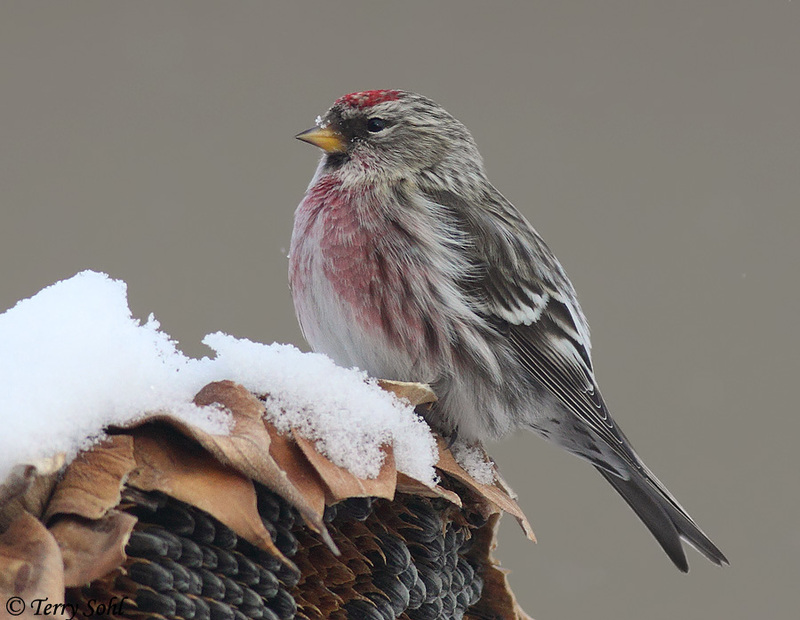 It was a "irruption" year for winter finches, and they were found in good numbers all over the region. 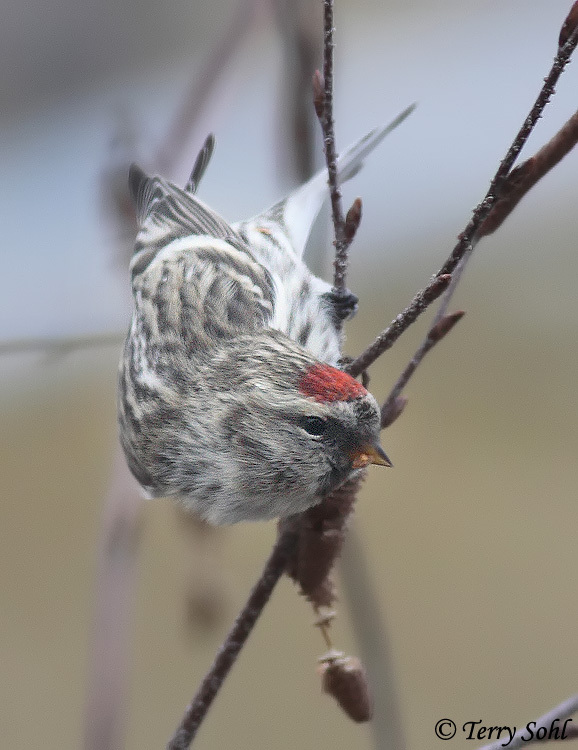 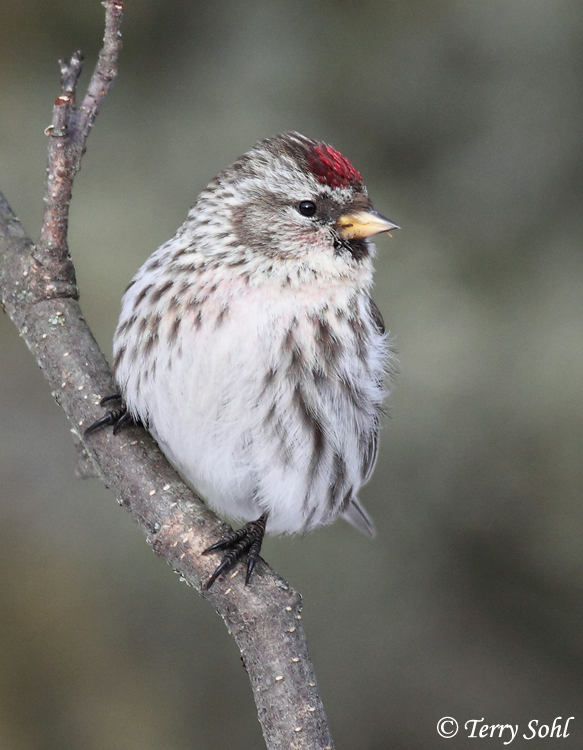 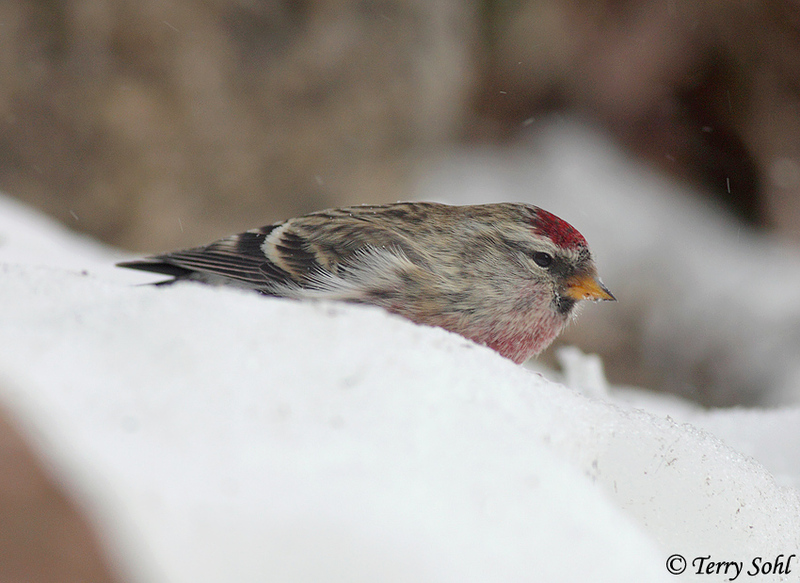 It was such a treat having Common Redpolls visiting our feeders every day...and even better when a pair of very rare Hoary Redpolls started showing up as well. 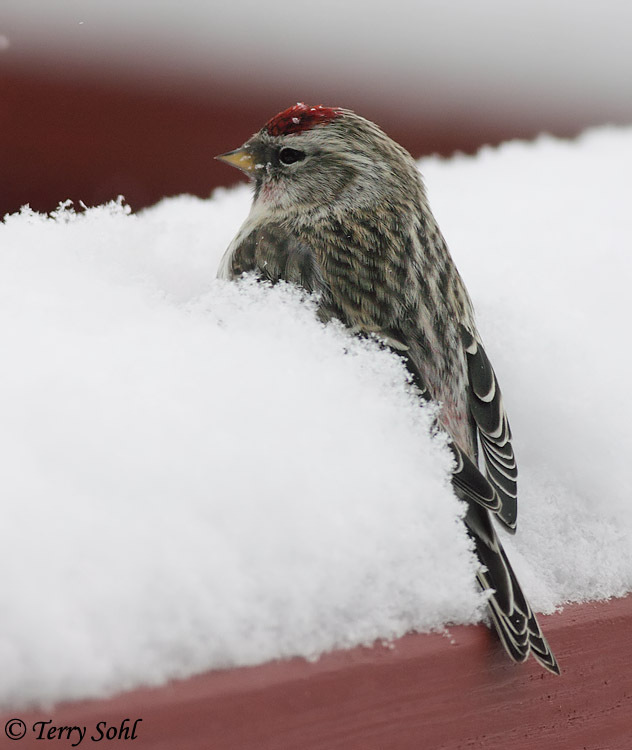 The photo below is of a Common Redpoll sitting on the deck rail by the feeders, not quite sure what to make of the heavy snow that blanketed his normal perch.